Can you believe it? 2016. Time to stop reflecting on the year gone by and start looking ahead to new products, new events and new offers. First up we have our twin pack of 100% Egyptian cotton tea towels. Soft and absorbent and an essential kitchen item for any Ringtons fan. The towels are priced at £4.99 and are available now. Also available now is our Rhubarb and Ginger Preserve. Regular customers might recognize it as it’s been out before. Now it’s back by popular demand. At £1.65 a jar, this is a mouthwatering treat that makes toast a lot more tasty! Nuts and raisins are good for snacking. Especially when they’re covered in Chocolate! Arriving in February these will be in a 200g bag and cost £1.60. Get ready for Easter with our collection of Easter Gifts. Who says you have to buy for someone else? This cute bunny beaker is a great addition to your kitchen. Perfect for those chilly spring days when curling up under the duvet with a mug of tea is still on the cards. Better yet, it’s filled with hollow milk chocolate eggs and is only £6.99. Looking for something different to the usual chocolate eggs? This colourful metal egg tin is filled with high quality solid chocolate eggs. Once you’ve eaten the eggs, you have a storage tin you can use again and again. A bargain at £6.99. Looking for something more elegant? 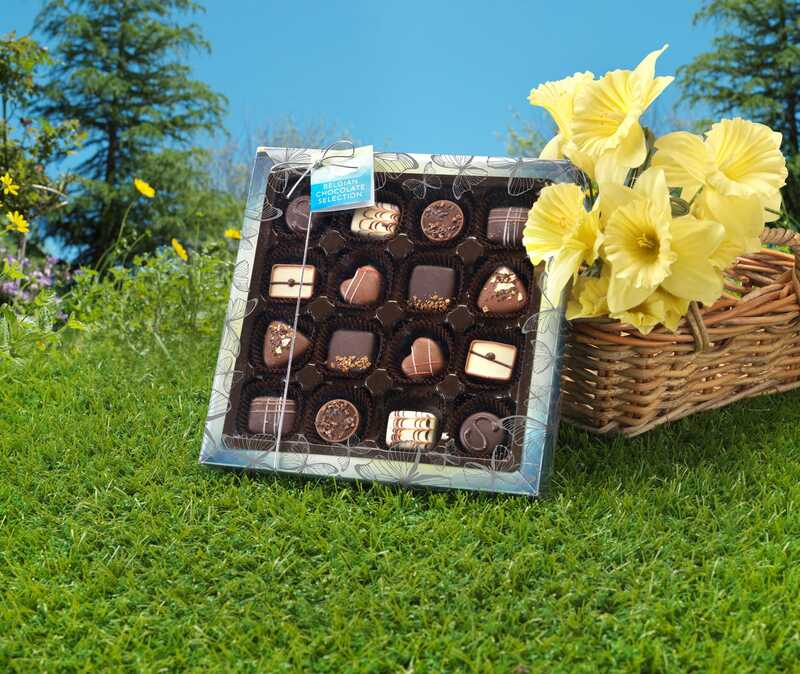 This tray of Belgian Chocolates is an ideal gift for a loved one. Why wait till Easter? They’re perfect for Valentine’s Day and are only £7.99. 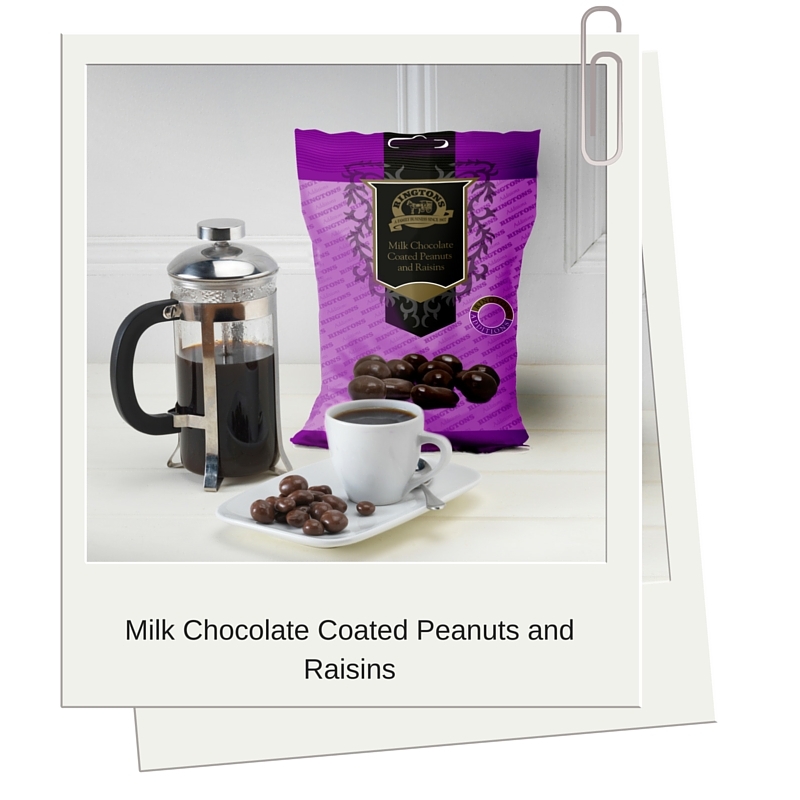 If you prefer a sweet to chocolate, try our Drum Tin. It’s filled with jelly sweets and marshmallows – great for children and adults alike and just £7.99. Do you like a little bit of everything? This Hamper Box contains mini gingerbread men, sugared almonds, dark chocolate caramel wafers, raspberry preserve and extra fresh tea bags. What more could you want for just £7.99? There’s something delightful about tea and cake together. Our Tea Loaf is made with Ringtons Tea and is packed with juicy fruit and spicy cinnamon. For £1.65 a loaf, you won’t find a more perfect pairing for your cuppa. Get a fresh delivery with these quirky plastic moulded bottles. Containing fizzy bubblegum bottle, fizzy cola bottles and soft milk bottles they’re such a cute item to have in your kitchen. Priced at £6.99 we’re betting they’ll sell fast. Back by popular demand, the Luxury Toffee Assortment and Hammer is just £4.99. Break your own pieces and delight in the creamy original, nutty brazil, roasted hazelnut and real liquorice flavours. Do you get a regular delivery by a salesperson to your door? If so, click here to see your monthly offers.